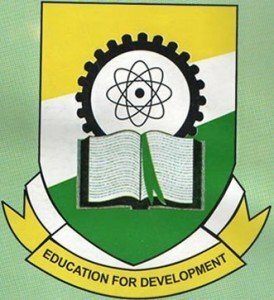 Anambra State University, ANSU admission list / Chukwuemeka Odumegwu Ojukwu University, COOU admission list for the 2018/2019 academic session is out. We are glad to notify all the candidates that participated in the Chukwuemeka Odumegwu Ojukwu University (COOU) formerly recognized as Anambra State University (ANSU) post UTME screening exercise, that the management of the university has released the first batch admission list for the 2018/2019 academic session. 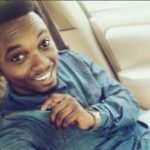 Recommended: How to Reject/Accept Your ANSU Admission on JAMB CAPS. Not yet admitted? Apply for COOU/ANSU 2nd Batch Post UTME. Congratulations to all the candidates that made it to ANSU admission list for the 2018/2019 academic session. Is ansu last list out. I mean vc list? All of you that jamb give admission and didn’t see also in the school portal. Pls my daughter used COOU as 2nd choice,she scored 185 in jamb but we didn’t know when d post utme was written. Her course is education political science, is it possible for her to be given Admmision, pls someone should answer me. Comment Text*pls I saw one handbill but am at osun state, and I went to d program wer is hold I ask to pay 9000 for d form, and other particular thing, but am wondering,I want to ask May b is for real Or not, but am wondering How data possible although I av my OND result and they said am going to start frm 200lv pls I need An advice. Before pay any fee…. bcs I just confused pls…..and I that handbill there is healthy education but Wen I search for all d course Nothing that… pls I need quick reply…. That is because jamb hasn’t given the school names of the people that got admission. my dear we experience the same problem,does any one has an answer to this problem blc the whole thing is driving me grazy,i cant pay acceptance fee blc of it.